Brazil's next president, Jair Bolsonaro, takes office next week with promises to radically change the path taken by Latin America's biggest country by trashing decades of center-left policies. But while the far-right politician enjoys sky-high popularity of 75 percent going into the top job on January 1, the challenges to his agenda are formidable. Brazil is a commodity-exporting powerhouse but it's still limping out of a record-breaking recession that eradicated many gains from the stellar period of prosperity it enjoyed just a decade ago. 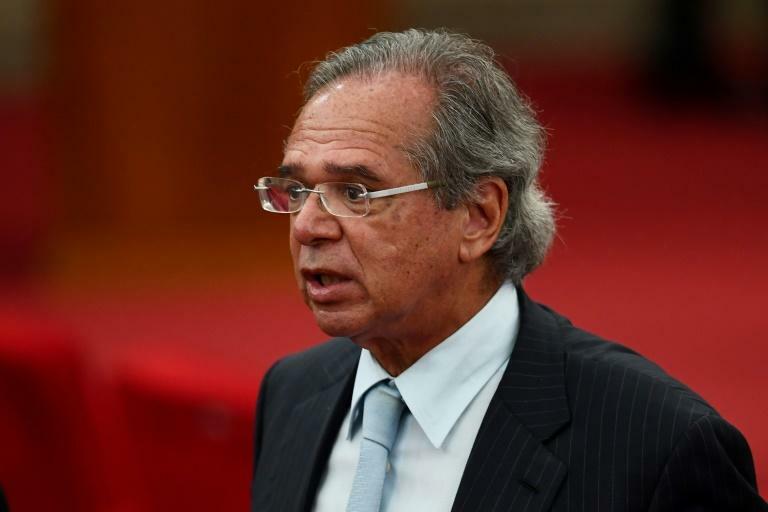 Bolsonaro has appointed a free-marketeer, Paulo Guedes, as economy minister to push through reforms to bring down Brazil's swelling debt, mainly through privatizations, tax changes and encouraging foreign investment. One of the trickiest problems will be cutting back on Brazil's unsustainable pension system, which requires an overhaul of the constitution. But Bolsonaro's far-right Social Liberal Party does not have a majority in Congress. To pass legislation he will be relying on ad-hoc alliances with backbenchers in various parties who are part of his evangelical, pro-agribusiness, pro-gun base. Eurasia Group, a consulting firm, notes the reforms pose "a real challenge." The big swing in public support behind Bolsonaro could give him the legislative firepower he needs, if he moves early in his term -- but even then "expect a lot of drama" in Congress, it said. 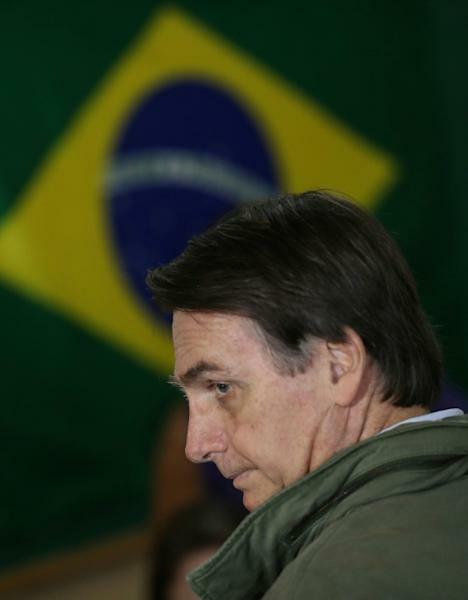 "Bolsonaro will have a hard time implementing his fiscal agenda," agreed Mayra Rodriguez Valladares, a US economic consultant and specialist on Latin American politics at MRV Associates. She added that a steep drop this month in prices for oil -- an important Brazilian export -- coupled with a slowdown in top trading partner China created headwinds for Brazil's economy. Longer-term goals, such as infrastructure and job training, are going largely ignored, she said. Brazil's new orientation will quickly be clear to the world through its diplomacy. And a lot of that is inspired by US President Donald Trump, whom Bolsonaro admires. Bolsonaro has already said he will pull his country out a UN global migration pact, and he is deciding whether to do the same with the Paris accord on climate change and on whether to move Brazil's embassy in Israel to Jerusalem -- all measures aligned with Trump. Additionally, he is hostile to greater Chinese investment in Brazil, and he has said he will do all he can "within democracy" to challenge the leftist governments of Cuba and Venezuela. "Does he risk tensions with Venezuela by playing hardball?" asked Ryan Lloyd, an American international relations expert and post-doctoral fellow at the University of Sao Paulo. "Bolsonaro is not experienced with foreign policy and neither is his team -- if this becomes an international incident, it could end very, very badly," he said. Bolsonaro's two main promises are to crack down on Brazil's rampant crime and extinguish chronic political corruption. The ex-military man wants laws eased so "good" people can own guns to deter armed assailants. Critics fear that could usher in a "Wild West" in a country where there are already nearly 64,000 homicides annually. Police officers -- responsible for some 5,000 deaths a year -- will be given greater impunity under Bolsonaro. The fight against corruption has been under way since 2014, under a sprawling anti-graft probe known as "Car Wash" that has snared many political and corporate chiefs. In a savvy move, Bolsonaro has named the judge who led "Car Wash," Sergio Moro, as his justice minister. 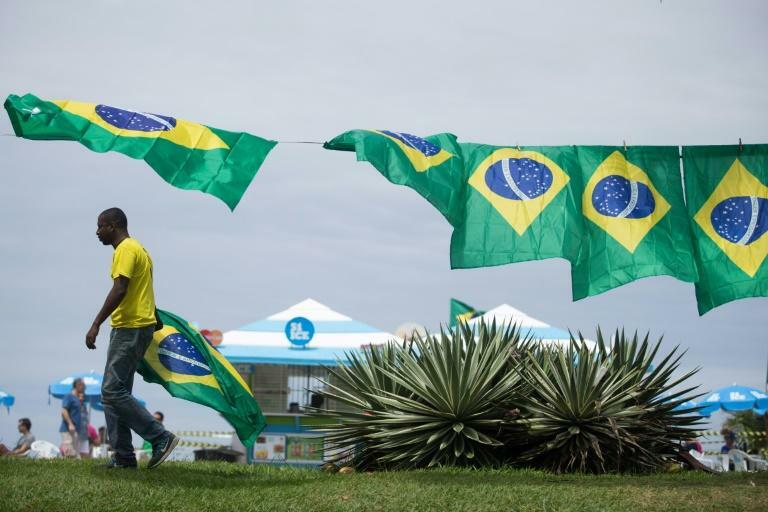 But corruption in Brazil has deep roots, and any evidence of it in Bolsonaro's inner circle -- some allegations are already being investigated -- or his party could rapidly damage his image. Another domestic challenge will be protecting Brazil's environment, which includes the Amazon, sometimes called "the lungs of the planet." Bolsonaro has indicated he will put mining and farming interests above conservation. Lloyd predicted "dangerous times" ahead for Brazil in the hands of an extreme-right politician nostalgic for the military dictatorship that ruled 1964-1985. "Bolsonaro does not speak like a democrat, and his inner circle is even worse, bandying around the possibility of shutting down the legislature and Supreme Court," he said. "We could be looking at the erosion of democratic norms: perhaps a (late Venezuelan leader Hugo) Chavez from the right. If it goes spectacularly wrong, it will be chaos."